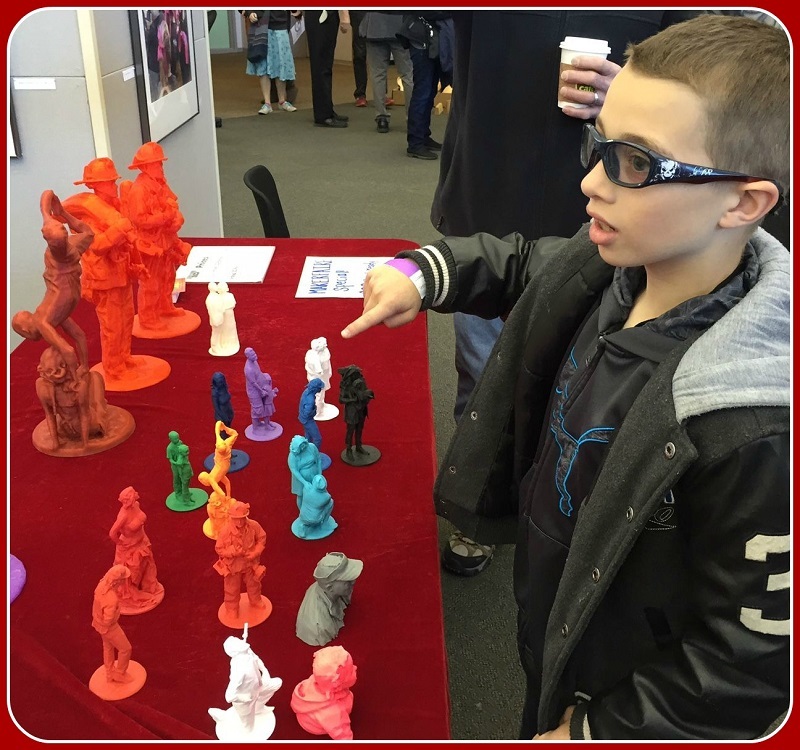 Westport’s 4th annual Mini Maker Faire is in full swing today. Up to 6,000 creative, inventive folks of all ages are expected to flood Jesup Green and the library. They’ll spend the day building, designing, creating, hacking, learning, connecting, eating, drinking, listening and playing. And that’s just at one of the hundreds of interactive, interdisciplinary, interesting exhibits. 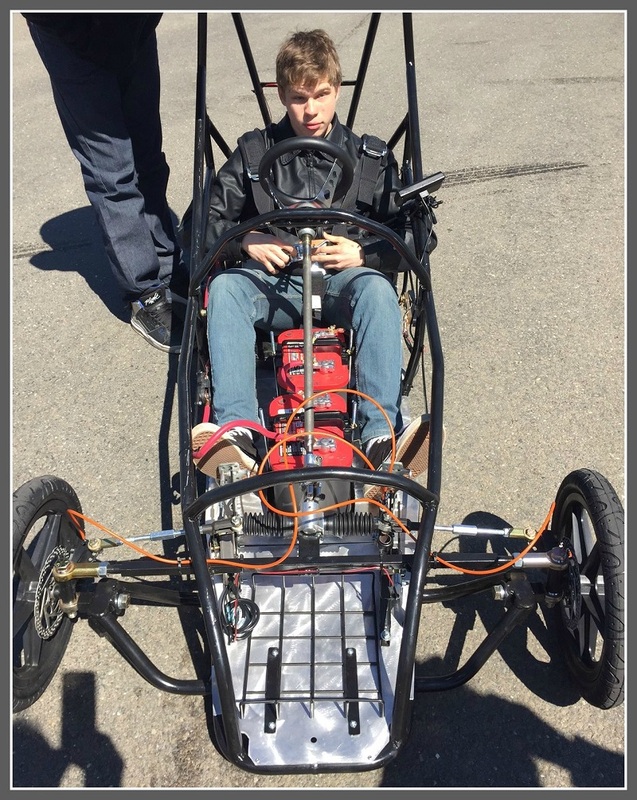 The Maker Faire runs till 4 p.m. today (Saturday, April 25). The inspiration will last forever. “The Great Fredini” is constructing an entire scale model of Coney Island, with a 3D printer. Faire-goers could have their own body scanned — and printed — to be included. Anyone can play regular foosball. 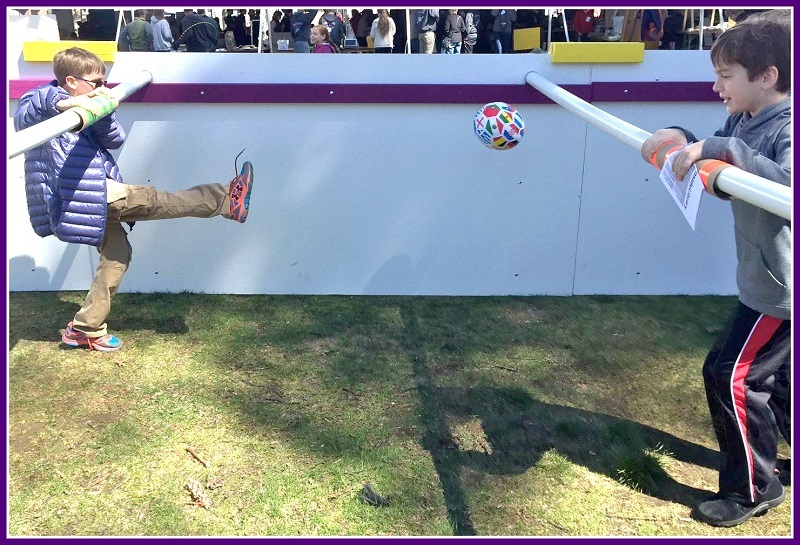 It takes a certain type of person to be part of a human foosball game. Getting set for the Nerdy Derby: a Pinewood Derby with no rules. A scavenger hunt includes — naturally — QR codes. As noted, this event was developed by kids. Participants earned a free download of digital goodies; the randomly selected 1st prize was a gift certificate to robotics camp. Where can you find a real live cello-maker? At the Maker Faire, of course. 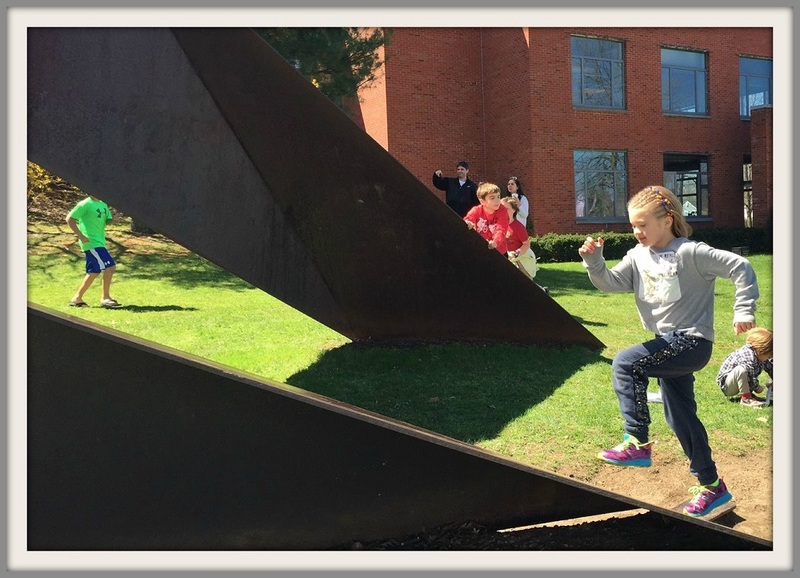 Sometimes it was fun just to play with a low-tech toy: the sculpture outside the library. 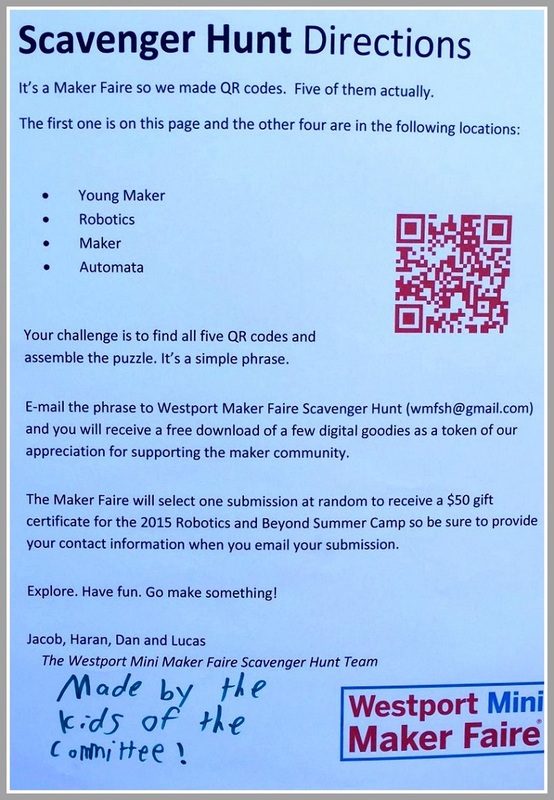 This entry was posted in Children, Downtown, Library, technology, Teenagers and tagged Jesup Green, Westport Library, Westport Mini Maker Faire. Bookmark the permalink.